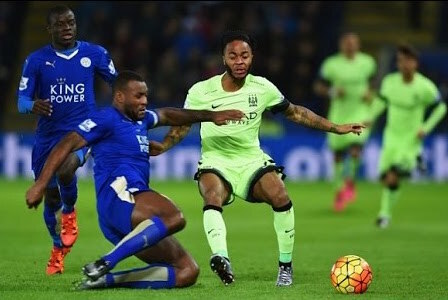 British bookmakers are set to pay out large sums if Leicester City wins the Premier League, but they won't mind too much. That's because they view the bets as loss-leaders: the unprecedented event is likely to drive up betting volumes next season, they told the Financial Times. Punters have seen proof that gambling groups can get it wrong, encouraging them to back outsiders in the coming years. That also explains why gambling companies have been publicly revealing the scale of their losses. Bookies were taking bets at odds of 5000 to 1 for a Leicester City victory last summer. They deemed it equally likely that Kim Kardashian would become US president in 2020, Elvis would be found alive or the mythical Loch Ness monster would be discovered. Now the football club, which was playing in the second-tier league just two years ago, only needs to win one of its last three games to top the Premier League for the first time. Victory for Leicester City would be the biggest upset in betting history, Coral told the FT, estimating UK bookmakers would have to pay out £50m to lucky punters. The gambling group added that it would suffer a £1.7m loss itself, and expects bookies will never offer odds this long again. SkyBet, which sponsors the lower football leagues in England, faces a £4.7m loss as a larger proportion of its customers support lower-tier teams. But the gambling groups undoubtedly expect to recoup their losses from hapless punters over the next few years.